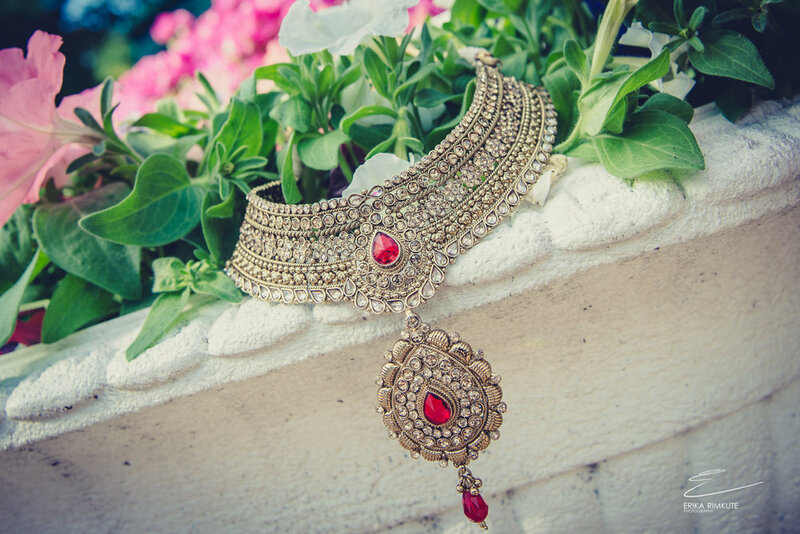 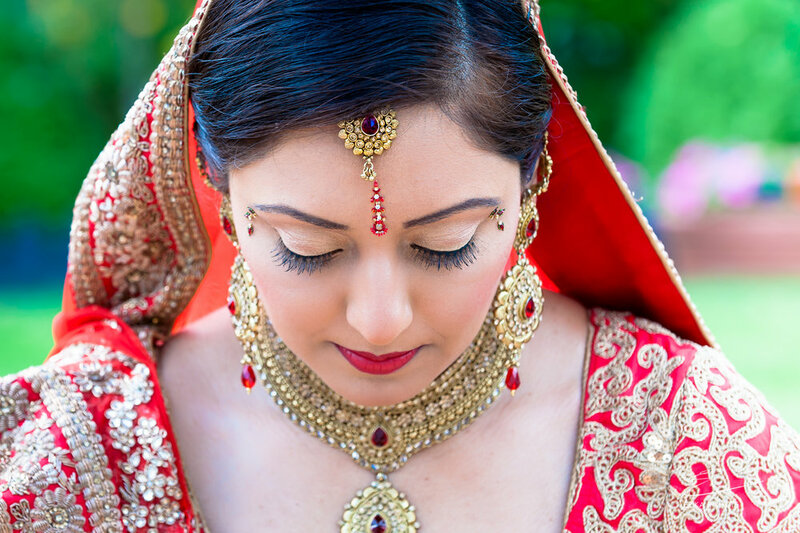 In the early morning when I went to Ameeta’s family house to begin shooting her bridal preparations, I could feel that there was an air of joy all around. 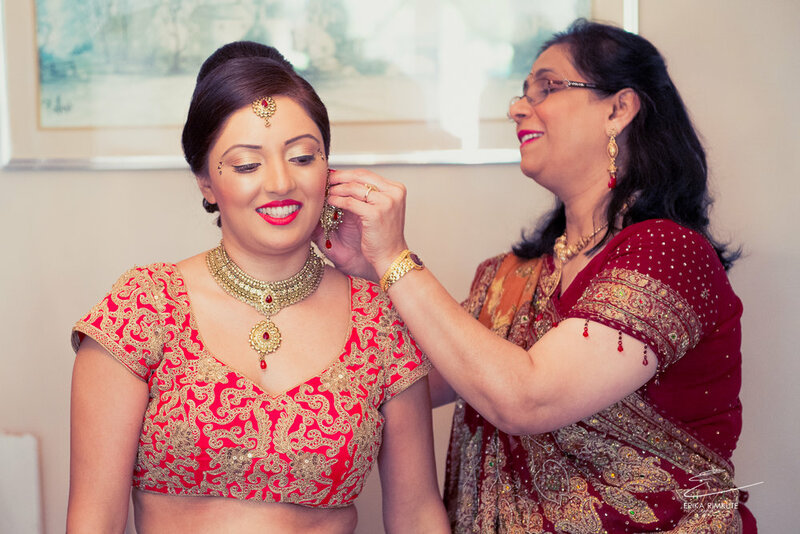 The house was full of happy family members and the scent of flowers filled the air. 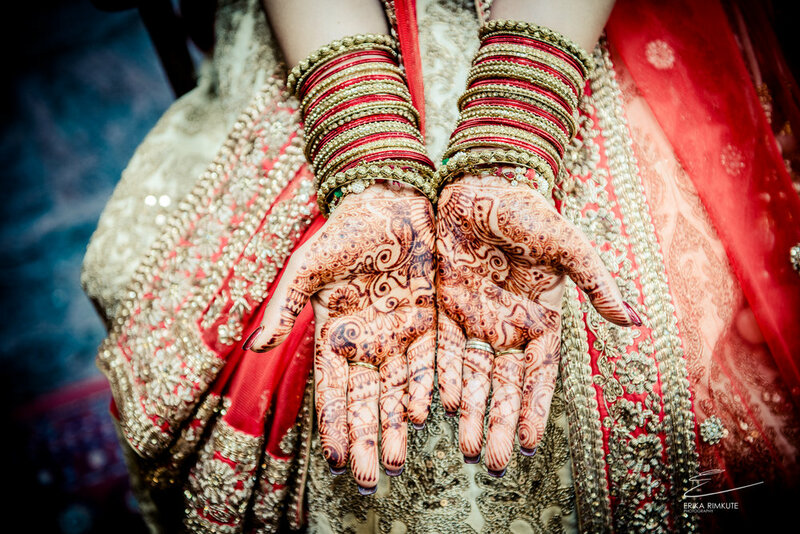 The garden, from where the scent originated from, was full of colourful flowers that had been lovingly cultivated by her father. 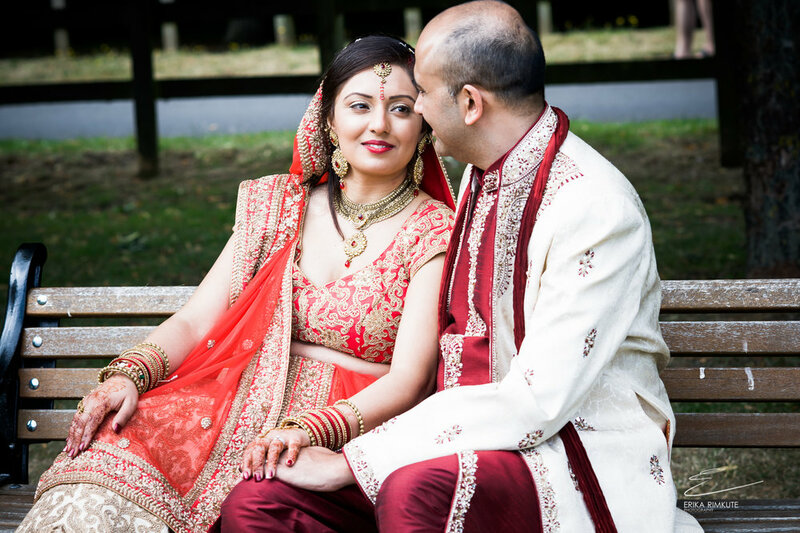 After the hair and make up was complete, a couple of the family members helped her to put on a wonderful red & peach Indian wedding dress in which she bloomed as a beautiful red rose. 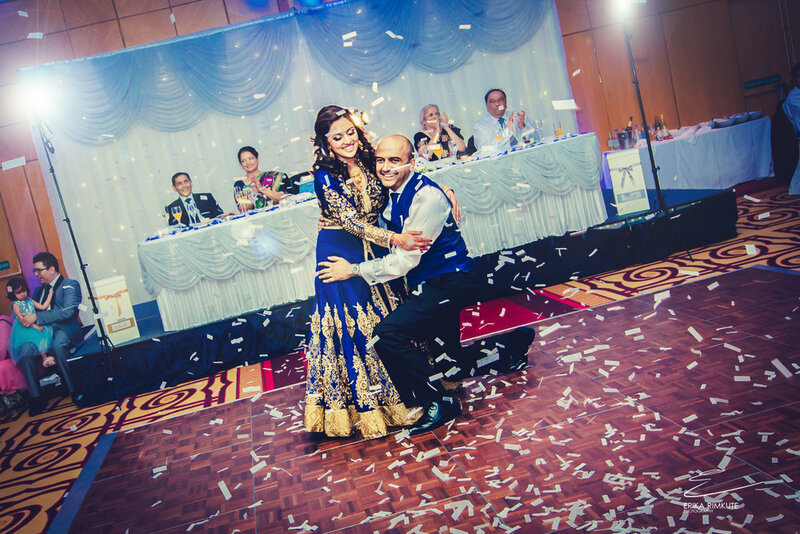 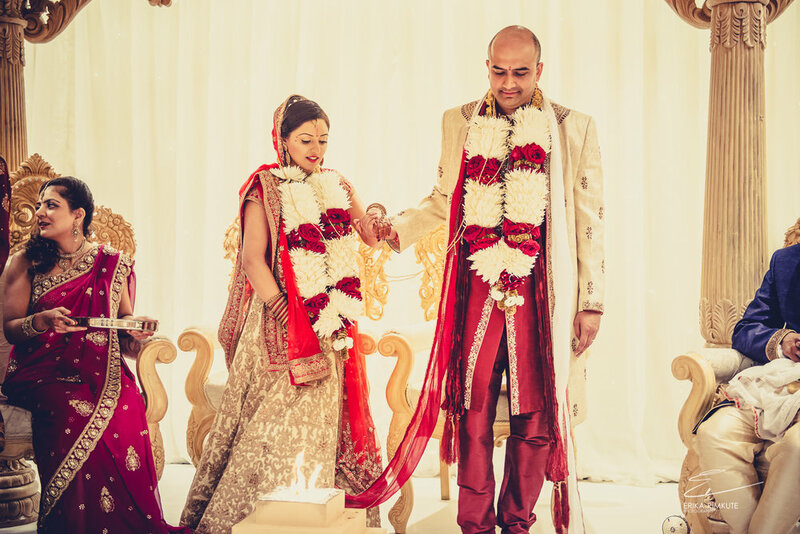 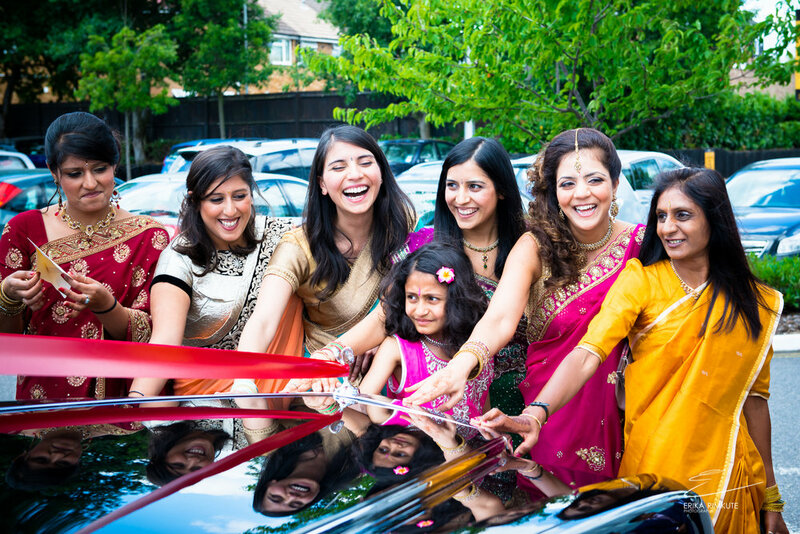 The Asian wedding ceremony was held at the London Heathrow Marriott Hotel where we rushed to meet Krishn. 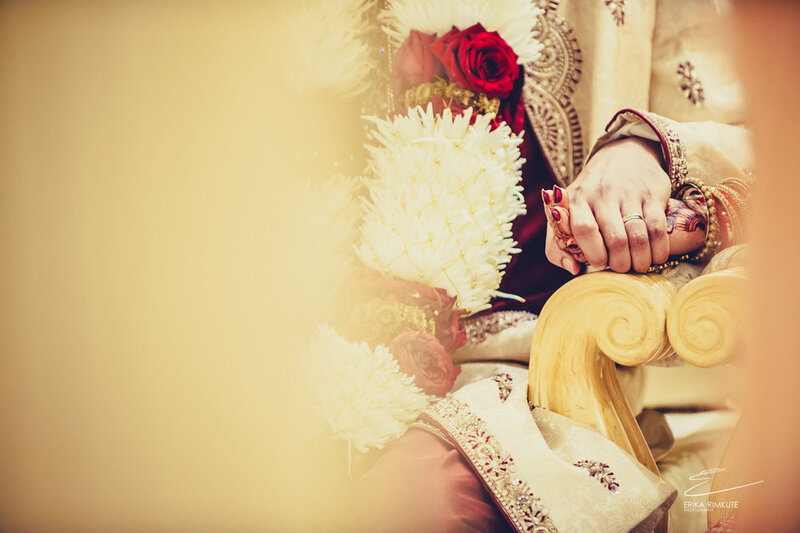 Rituals and special ceremonies were performed during a wedding and before long we had a newly married couple! 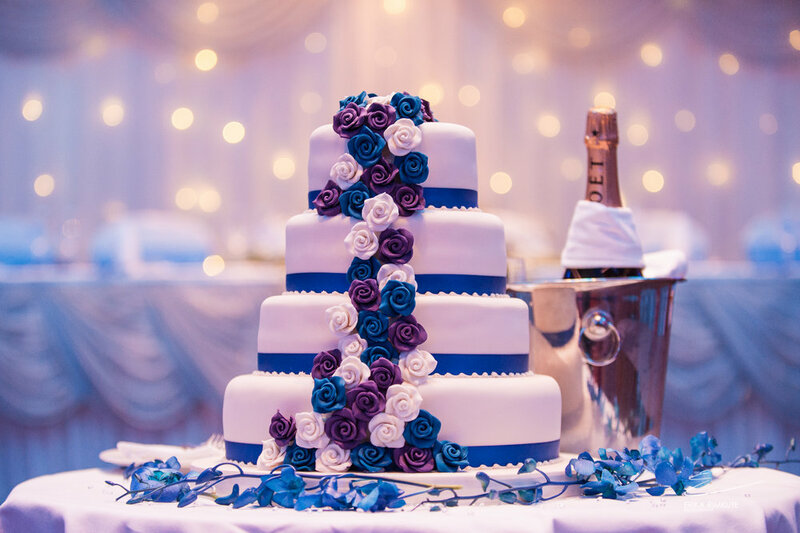 The reception followed with the bride taking center stage in a sparkling blue and yellow evening dress for a night of celebrations, cake cutting and dance!